April 11th, 2019 By: GGT Category: 2019/06 release, Figure News. PLUM is going to release the Yamashiro Kai ( 山城改 ) Lightweight Equipment Ver. ( 軽装Ver. ) 1/7 PVC figure from the Chinese mobile game “Azur Lane” ( アズールレーン ) developed by Shanghai Manjuu & Xiamen Yongshi. Will be released in June 2019. Around 160mm tall, 15,660 yen (taxed in). PLUM shop exclusive. 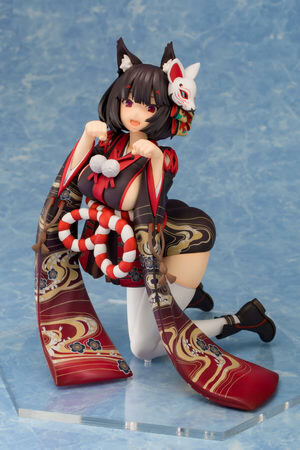 For those of you who want to get this Yamashiro Kai Lightweight Equipment Ver., you can pre-order it at PLUM shop HERE with your proxy service.